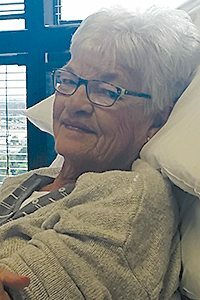 Norma Jean Christeson, 71, of Webster City, Iowa passed away on Wednesday, November 1, 2017 at Southfield Care Center surrounded by her family, following a brief, but brave and courageous battle with cancer. A visitation will be held on Sunday, November 5, 2017 from 4PM-7PM at Faith United Methodist Church. Funeral Services will be held on Monday, November 6, 2017 at 10:30AM, also at Faith UMC. Interment will follow at Graceland Cemetery. Norma Jean Merryman was born inNashville, TennesseeonMarch 27, 1946 to Leo and Jean (Dickens) Merryman.hegraduated fromWebster City High School in 1964.Norma was united in marriage toGerald “Tom” ChristesononSeptember 12, 1965 at the EUB Church in Webster City. They were blessed with four children, and raised their family on a farm just north of Webster City, before moving to town 24 years ago. Norma worked side-by-side with Tom on their farm, and raising their kids. She also worked for over 35 years combined at All-American Sports Center for Don Burton, and at SportsWorld, Inc. for Ted Williams. Norma was a very humble and kind soul, with a gentle, loving spirit. Her life was her kids, and then her grandkids. She prided herself on being all-in when it came to her grandkids. Norma was a wonderful wife and mother, but when God made her a “Nanny,” he knew exactly what he was doing. She missed nothing when it had to do with her to her grandkids. If one of her “babies” was doing something, she was there, and she was there 110%. Nanny always looked forward to when she and PaPa would spend the day with all the kids at the Iowa State Fair, she loved carrying on the tradition of taking the grandkids to “Disney on Ice” on Thanksgiving Weekend, as well as when everybody was at her house, no special occasion necessary. Her children were her pride, but her grandchildren were her complete and utter joy. Next to time with her family and grandkids, Norma loved being surrounded by her dear friends, her beloved “Coffee Bunch” every morning for far too many years to count. She was a past member of the WC Bowling Association and Board Member, was a member of the Women of the Moose, as well as a member of Faith United Methodist Church. Normais survived by her husband of 52 years, Tom, daughter, Trisha (Jeff) Bach, son, Todd (Laurie) Christeson, son Scott (Andrea) Christeson, and daughter, Kari Christeson; grandchildren, Emily (Chad) Potratz, Benjamin Sewick, Tyler Christeson, Graceann, Casey, Connor and Katy Bach, Hank and Harlee Christeson, and Franklin Christeson. She is also survived by sisters Carol (Dennis) Egger, and Linda (John) Bourne, as well as nieces and nephews, Abby (Brandon) Christeson-Dolezal, Mathew Egger, Michael (Jill) Egger, Melissa (Kip) Liston, Nicholas (Jess) Bourne and Jerrad (Holly) Bourne, and their children. Norma was preceded in death by her parents, Leo and Jean Merryman, and her in-laws Don and Katy Christeson. In lieu of flowers, please direct memorials to the family to be used at their discretion in Norma’s memory. Foust Funeral Home in Eagle Grove, Iowa is caring for the family and arrangements.